DATA STORIES PODCAST: EPISODE 5, ANOTHER APPEARANCE! 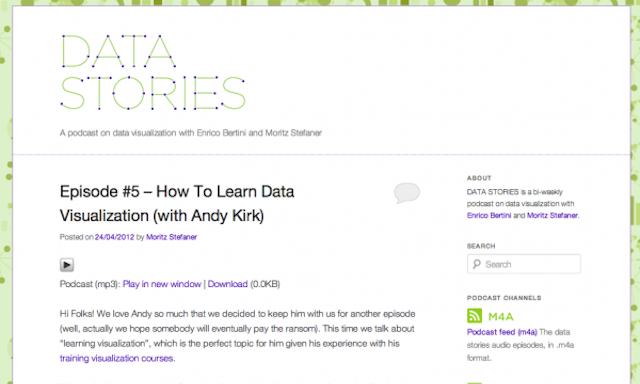 Hot from the Bremen sound studio is the brand new release of Episode 5 of the Data Stories podcast with Enrico, Moritz and me, as a returning invited guest. In this episode we cover the subject of data visualisation training, a subject clearly close to my heart. Many thanks again to Enrico and Moritz for inviting me on the show for a second time, as with the previous experience, it was a good laugh!